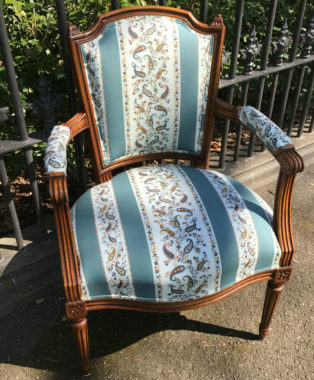 Wonderful original French bergere chair restored and recovered in an embroidered on silk suzani. Beautiful Antique French Walnut Chair. 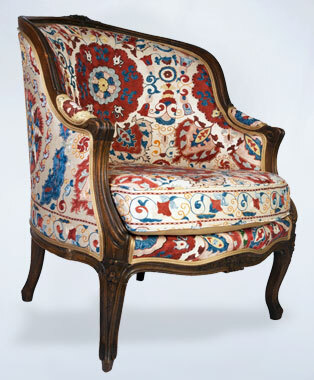 Fully restored and covered in a Striped Paisley Printed Cotton from Provence. 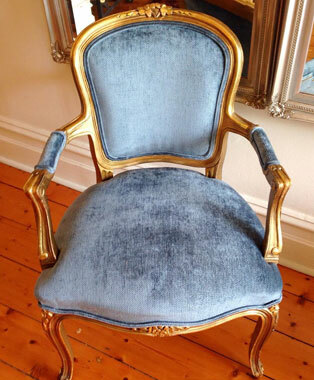 Antique Gilded french occasional chair covered in a teal blue velvet chenille. 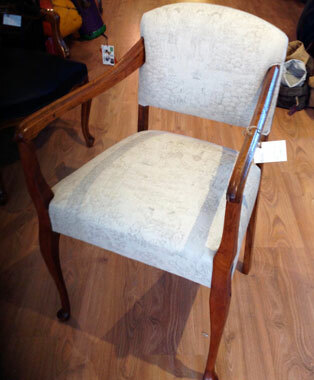 Vintage bridge chair restored snd recovered in Jim Thompson Jims Dreams Linen.